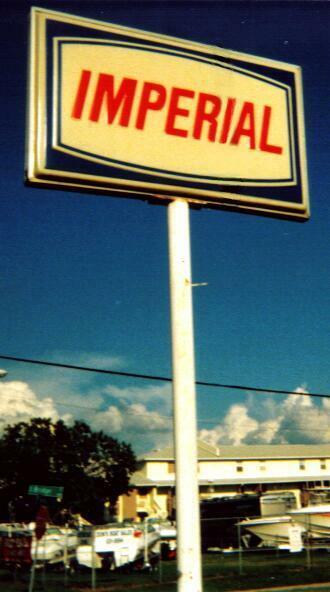 Imperial with Joy Food Mart at Main Street and Nelson Ave., Altavista, Virginia. Taken in 1998 by Robert Scism. 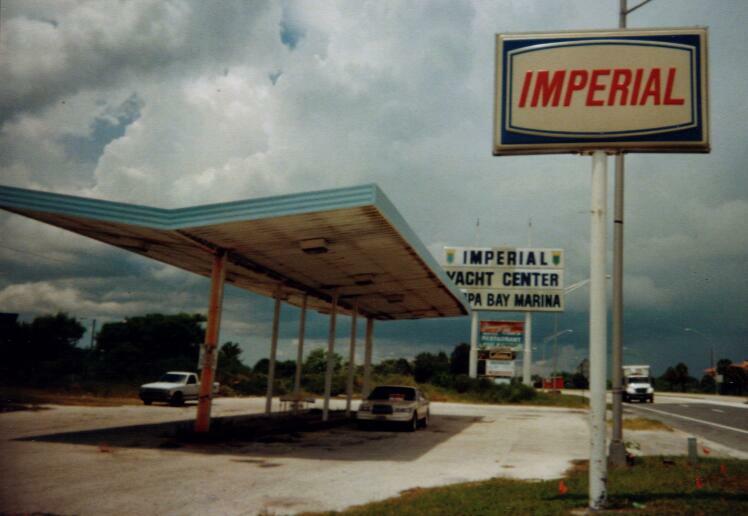 Three photos of an old Imperial on Gandy Blvd. in South Tampa, Florida. 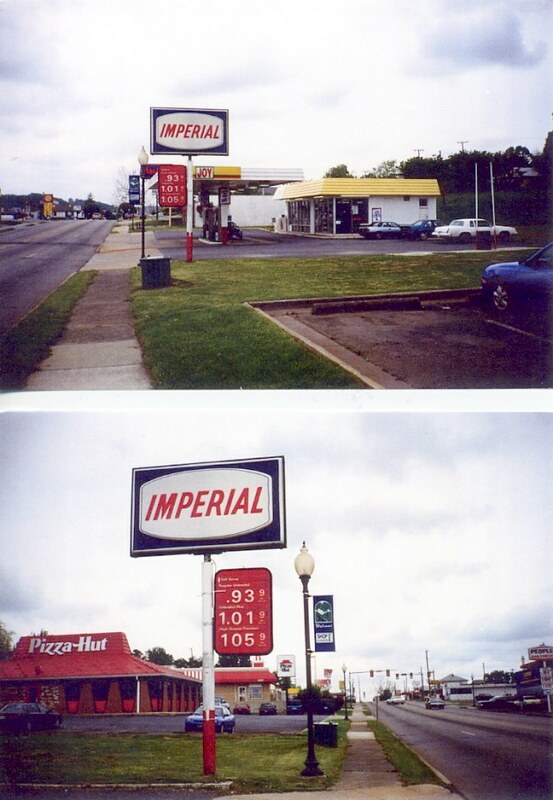 Photos by Robert Droz, June and August, 2003.
going diagonally through it from bottom left to top right. 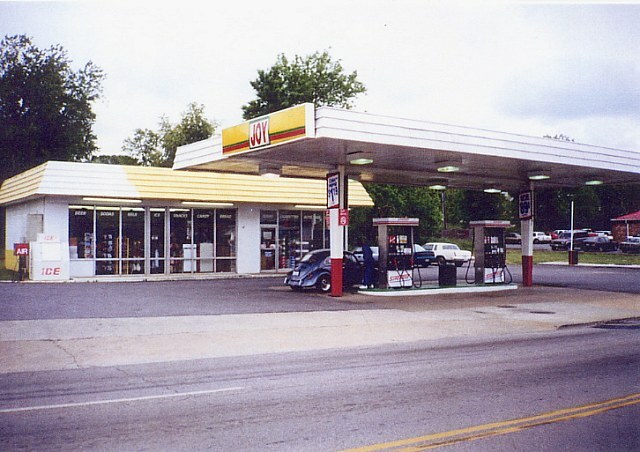 but by the early 1990s they had been changed to Joy Food Stores with Imperial branded gasoline. Most are now branded SuperTest with Joy Food Stores as the c-store.